BY approving the proposal for a law to stifle the print, electronic and digital media, the federal cabinet has put parliament on trial. Will it allow the executive absolute control over the media, or will it defend the most fundamental freedoms of the media and the people — which are also essential prerequisites to the establishment of a democratic order? In 2017, the establishment conceived a plan to tighten its control over the media, but a storm of protest compelled the government to shelve the idea. This plan resurfaced last year. Democratic-minded sections were amazed at the new government’s keenness to adopt the proposal, contrary to its policy of ignoring the legislative initiatives of its predecessors. The government failed to receive support from any quarter. After the cabinet’s signal to go ahead, the plan has again been rejected by newspaper owners, editors and journalists. All of them have called for consultations with the stakeholders. No responsible authority can ignore such a united stand by the media community. The rights under threat, however, are not negotiable. The scope of any government-media consultation will, therefore, have a limited agenda. Before we discuss the plan, the question of jurisdiction ought to be resolved. No valid reason has been advanced to justify the unification of the media laws. The press is a provincial subject. Punjab and KP have replaced the central press law with provincial enactments. The federal government obviously hopes to use the support of these governments to frame a federal law on a provincial subject. Once this law is made, it will override all provincial laws. But this will amount to an unwelcome encroachment on provincial rights and make the 18th Amendment redundant without formally rolling it back. This is bound to strain the federal bonds. Sound federations avoid this course, and Pakistan must do likewise. As regards the merits of the proposed law, no valid reason has been advanced to justify the unification of the media laws. The plea that the new law will protect anyone against defamation is untenable because the present press law or the Press Council Act does not override the defamation law, and for the digital media a tough law against cybercrime is in force. The existing laws do not affect security interests either. No new law is needed to punish the media for any crime; the Penal Code is there as well as special laws, such as the Anti-Terrorism Act. The argument that under the new law media establishments won’t have to run from pillar to post is irrelevant as there is no record of such complaint. Against the absence of an acceptable rationale for the proposed law, the adverse consequences of its enforcement are numerous and grave. The very idea of lumping the print media with electronic and social media under a common law is an affront to reason because the two media forms pose different problems and have different histories. The present press law, with all its flaws, offers an enabling framework, while the laws made for the electronic media and for regulating cyberspace create a restrictive and punitive framework. The two sets of laws are products of two different mindsets. 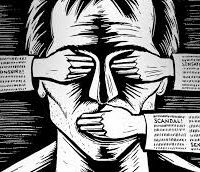 The attempt to abolish the enabling environment for the press will reduce Article 19 of the Constitution to a dead letter and invite universal censure for the violation of international human rights covenants. The Press Council represents a small step towards developing intra-media mechanisms for settling complaints against publications. In several countries, media-managed press councils have been assigned the task of registration of publications, maintenance of their records, and audit of circulation. We were hoping that the Press Council of Pakistan too will develop in accordance with the worldwide trend of media autonomy. Instead, this council is going to be replaced with a body of government nominees, a regression pregnant with unimaginable hazards for media freedom. The worst deal is reserved for the print media. During the two-century-old history of the press in the India-Pakistan subcontinent, the right to publish has never been denied. Journalists have been jailed, securities have been demanded and forfeited, and printing presses have been sealed — but the right to publish after identifying the publisher, editor and the printer through declarations, has never been extinguished. Pakistan’s dictatorial regimes did delay authentication of declarations, but such tactics were ended by the judiciary. Now a huge derogation of this right is being planned by replacing a voluntary declaration with a licence that will need renewal every year under terms determined by a government official. This is the essence of the proposed law. The objective all too obviously is the promotion of a guided media. What the licensing system means is that each year, the 70-year-old newspapers will need fresh permission to be printed and circulated, possibly only in the area specified by the licensing authority. The renewal of the annual licence will be subject to conditions laid down by the authority. That is, what can be published and what should be withheld. The area of regimentation will expand and the space for freedom shrink. The more towards uniformity the press will be pushed, the closer to extinction it will arrive. The climate of fear will make speaking the truth impossible. The beauty of pluralism could wither away. Pakistan is facing a many-sided challenge that cannot be met by the limited wisdom of a one-party government because every government in the world possesses a smaller part of its national pool of talent, while a larger part of the people’s collective wisdom lies outside the gilded halls of power. The way to progress and recovery — to survival, even — lies through greater democracy, more openness, freer discourse, and maximum tolerance of dissent, and not through authoritarianism, closed governance, regimentation of thought and the witch-hunt against dissenters.